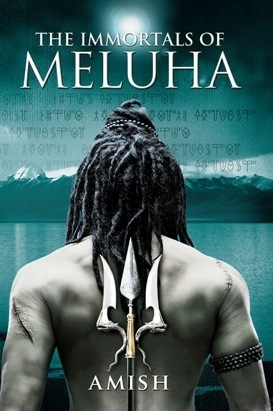 The Immortals of Meluha is the first novel of the Shiva trilogy series by Amish Tripathi. The story is set in the land of Meluha and starts with the arrival of the Tibetan tribal Shiva. The Meluhan belief that Shiva is their fabled saviour Neelkanth, is confirmed when he consumes the Somras, a legendary healing potion, which turns his throat blue. Shiva decides to help the Meluhans in their war against the Chandravanshis, who had joined forces with a cursed group called Nagas; however, in his journey and the resulting fight that ensues, Shiva learns how his choices actually reflected who he aspires to be and how it led to dire consequences.